Every summer my kids beg me to do a lemonade stand and somehow I always give in. 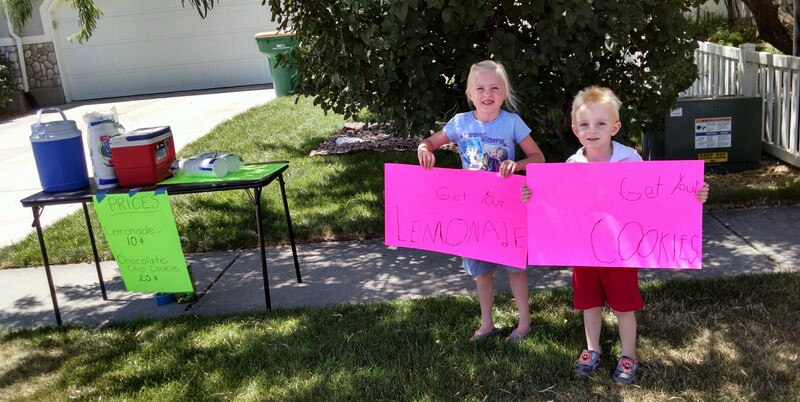 For three years running, we have spent one hot summer afternoon selling cookies and lemonade. I guess I am a “softie” for engaging activities that teach children the value of a hard-earned dollar. Every year I give my kids the same speech about how we live on a fairly quiet street and there probably won’t be a lot of people coming. And every year I am always amazed by how many people actually do come, and how much money they end up making on 10 cent lemonade and 25 cent chocolate chip cookies. In addition to the lemonade stands I have done with my own kids, I have also helped run several other lemonade stands and bake sales with children I taught at school. One year my school class held a bake sale to earn money to buy a classroom pet. Another year we studied the rainforest and held a lemonade stand to raise money to help save the rainforest. A different year we raised money to help the Peregrine Falcons. I may not be an expert, but here are a few things I have learned about having a successful sale. 1) Advertise! My school kids would often pass out flyers to their family and neighbors to let them know about our upcoming sale. Social media is also a great way to advertise. This year I posted a picture of my kids on Facebook selling lemonade. Several mothers in my neighborhood saw the post and sent their kids to buy something. 2) Price it Right. If you don’t set your prices too high, people are more likely to stop. They are also more likely to give you a tip. 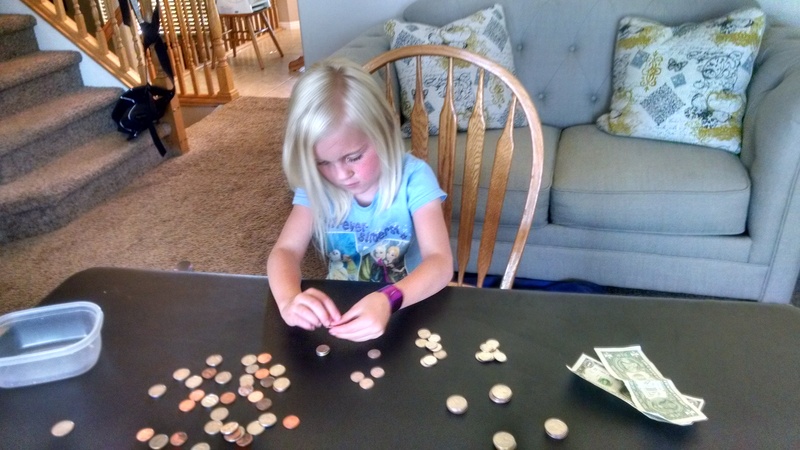 Tips are usually where my kids make most of their money; especially when grandma comes. 3) Make your stand look inviting. My kids love to make bold posters for their stand. We try to keep the stand clean and tidy. We individually wrap each cookie. A colorful table cloth or a vase of flowers add a nice touch. You could even go the extra mile and tie some balloons to the table. 4) Be creative with what you sell. Chocolate chip cookies aren’t that creative, but they do make our stand a little more exciting than just selling lemonade. When my sisters were little, they did an Italian Soda stand. They were popular! 5) Pick a good day and time to sale. Think about when the high traffic times are in your neighborhood. When are the kids and teenagers out riding their bikes? If you have a neighborhood where lots of people come home from work in the early evenings, it might be helpful to sell then as lots of cars are driving by. Watch the weather too. If you sell on a day that is too hot or rainy, there might not be a lot of people out and about. One year, without knowing it, we set up our stand on a day when lots of the teenage girls in our neighborhood were coming home from a week-long summer camp. They were tired, hot, and thirsty…how perfect for us! Vans full of girls stopped at our house to by some lemonade on the way home. Overall, a little extra effort will go a long way. And it will be so fun to watch your children count their money in the end. I would love to hear your lemonade stand stories in the comments below. Please share!